On 5 and 6 October 2017 WWF will attend the #OurOcean Conference where high- level government representatives, businesses and NGOs will discuss the future of ocean use and sustainability. On Thursday 5 and Friday 6 October 2017 high- level government representatives including Foreign and Environment Ministers, businesses and NGOs will meet in Malta to discuss the future of ocean use and sustainability. The Our Ocean conference started as an initiative of US Secretary of State John Kerry in 2014 and is hosted this year by the European Union. During the conference, public and private sector participants are challenged to commit to forward looking actions to protect the marine environment across six areas:Marine protected areas (MPAs); Climate Change; Sustainable Fisheries; Marine Pollution; Sustainable Blue Economy; and Maritime Security. WWF’s delegation in Malta will continue its efforts to ensure that the public and private sector are committed to implementing the SDG agenda, and particularly SDG14: Life Below Water in order to secure Ocean health and a sustainable blue economy for the benefit of people and biodiversity. WWF will share its own commitment and will be featured in the commitments of some of its partners. Incentivise public and private sector engagement to adopt and implement sound principles and guidelines for investments in the sustainable Blue Economy to effectively deliver SDG 14. Encourage more ambitious greenhouse gas emission reductions in line with the Paris Agreement to reduce the potential impacts on vulnerable ocean ecosystems including coral reefs, polar regions and low-lying coastal zones from ocean acidification, ocean warming and sea level rise. Ensure the effective engagement of coastal communities, women, indigenous people, youth and all key stakeholders in the planning and protection of shared resources. Increase coastal resilience by protecting critical habitats for fisheries, local tourism assets, and to ensure coastal protection (‘disaster insurance’) to support local communities, food security and livelihoods, with a goal to conserve at least 30% of critical habitats including for fisheries (particularly small-scale fisheries in coastal areas) and biodiversity. Achieve effective ecosystem-based management of fisheries to deliver healthy seas and resilient communities, including by: improving fishing selectivity and phasing out destructive fishing methods and bycatch of vulnerable species; and better monitoring, control and enforcement to reduce illegal fishing and ensure fishing sustainability. Adopt an effective global agreement to prohibit harmful fisheries subsidies. Reduce the production and use of plastics and microplastics, and ensure recycling and waste reception facilities to ensure plastics and microplastics do not end up in the sea. Wednesday 4th October at 18h00 - Opening reception “Unifying Efforts to Eradicate Illegal Fishing”. WWF, the Environmental Justice Foundation, Oceana, and the Pew Charitable Trusts will present a short movie and discuss key milestones in the efforts to eradicate illegal fishing and inspire ambitious commitments. European Commissioner for Environment, Maritime Affairs and Fisheries, Karmenu Vella will join. Invite here. Friday October at 10:30 Business Center Foyer, Hilton - WWF debate: “Reviving the Economy of the Mediterranean Sea: Actions for a Sustainable Future.” Pascal Canfin, WWF France CEO will discuss the main findings of WWF’s new report together with Abdellah Srour, FAO, General Fisheries Commission for the Mediterranean and Gaetano Leone, UNEP-MAP (Barcelona Convention). Invite here. The report, produced in collaboration with the Boston Consulting Group, illustrates the economic value of the Mediterranean Sea that directly draws on healthy ocean ecosystems. It proposes a set of recommendations to promote a sustainable blue economy and to urgently preserve the Mediterranean’s invaluable natural assets. Get WWF’s views on what’s being discussed at the Conference and contact us!! If you will be attending the conference and/or you want to receive updates, pls send us an email! Live updates on twitter: @WWFEU, @WWFMed, @WWF #OurOcean. 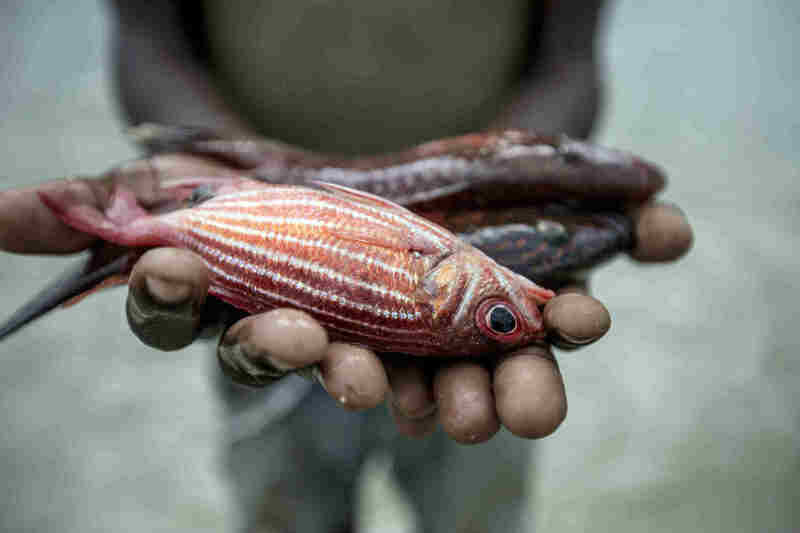 Le secteur de la pêche est en déclin à Madagascar et dans le monde entier.